Home / Uncategorized / Our First Ever Sale! Gee whiz we’re excited! We’ve never had a sale before. Just the fact that we get to play with phrases such as ‘terms and conditions apply’, and ‘must end soon’, and, best of all, ‘hurry while stocks last’ makes it all worthwhile. But there is also the fact that we have FAR TOO MUCH glassware. Actually it's a rose water dispenser. 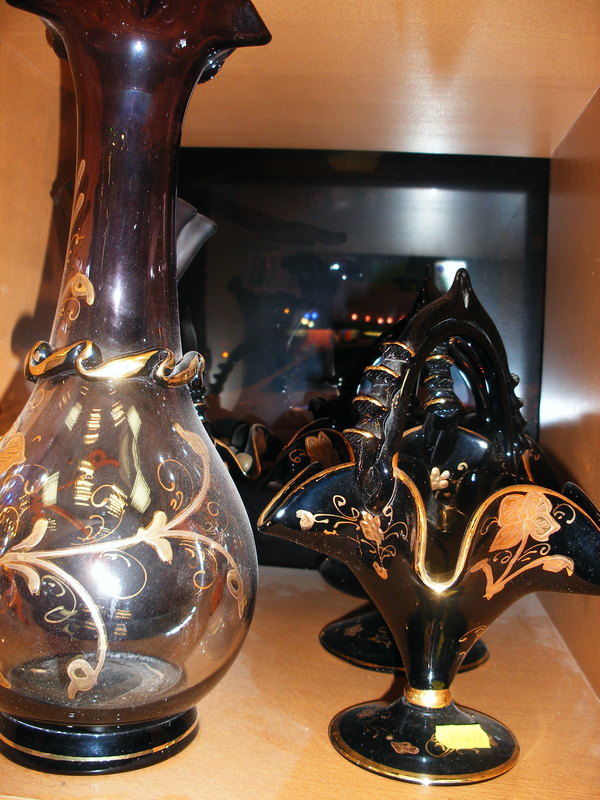 We are offering an astonishing 50% off our handcrafted Persian glass ware. And as most of it was silica cheap anyway (in the £10 region), that means that it is now a positive steal (in the £5 region). It really is hand made (we’ve seen a video of the nice men making it), and it is all ‘limited edition’ in as much as they only ever make 20-50 of any one item before going on to something else. 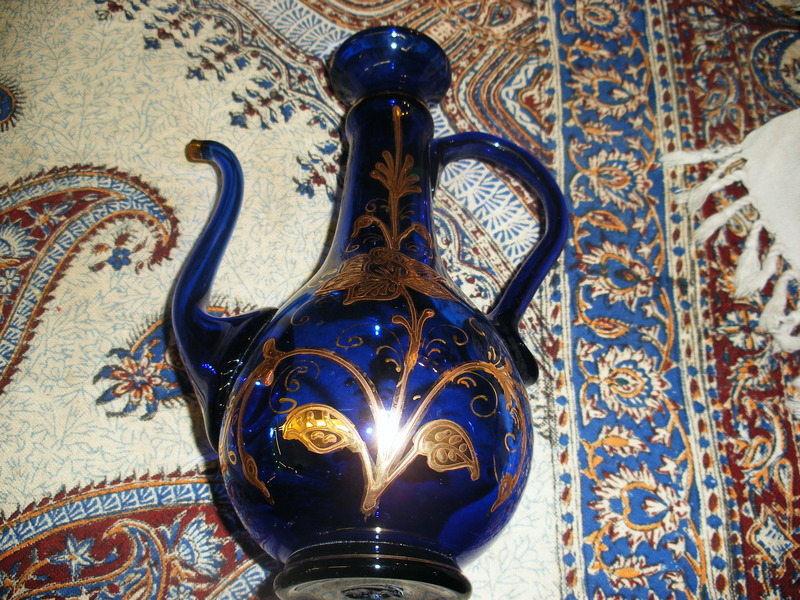 The shapes and designs are all very traditional (and pretty – although our rubbish photos don’t really do them justice) – you can see similar stuff in medieval Persian art. Anyway, the only reason we are doing this is because we are running out of room in our warehouse. 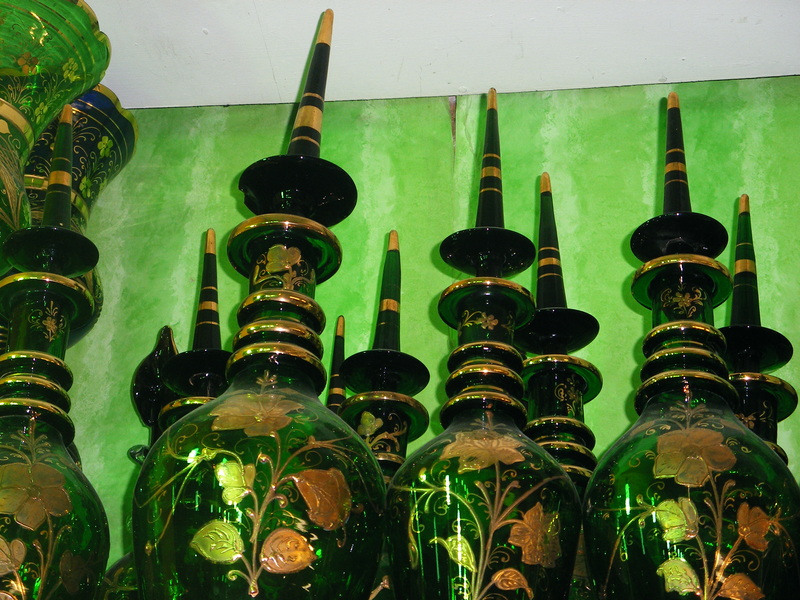 Glass stuff is kind of breakable, and you can’t pile it high to the ceiling. We simply need to shift some stuff before we can bring in another lovely container of goodies. So treat yourself. Or be scary-organised and buy ahead for next Christmas/Nowrooz/birthday/Hanukkah. We will even extend our bad-wrapping service and gift wrap your purchases for you. Another rubbish photo - but these really are quite pretty. Honest. THE SALE MUST END ON THE 31ST JANUARY 2011. TERMS AND CONDITIONS APPLY. WE DON’T KNOW WHAT YET, BUT WE’LL INVENT THEM AS WE GO ALONG. TELEPHONE AND RESERVE SERVICE AVAILABLE. WHAT DO YOU MEAN YOU DON’T NEED ANOTHER FRUIT BOWL? HURRY TO AVOID DISAPPOINTMENT.